Ever wanted a camera installed at your home but don’t want those big-as-hell “I can see you” type cameras mostly seen in banks and supermarkets? Good news, ‘Withings Home’ portable camera is small, sleek and easily unnoticed. It looks very much like a tea cup and can be placed neatly on a shelf, but that’s not the best part of it; Withings Home camera is controled and monitored from your smartphone, how cool is that? 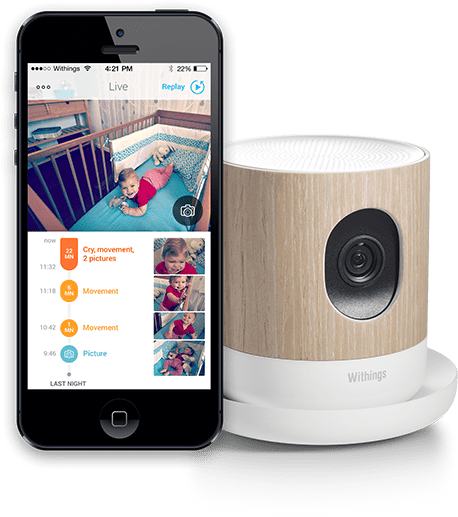 So if you wanted to keep an eye on your kids, pets or baby while you are away, or if you’re paranoid and just feel the need to keep an eye on your home, then all you need is the Withings Home portable camera and your iPhone or Android smartphone. This camera doesn’t just spot bad guys, it spots germs as well. It would notify the user, via the app, how much contaminants is in the current air space. The camera has a high definition lens of up to 1080 pixels.